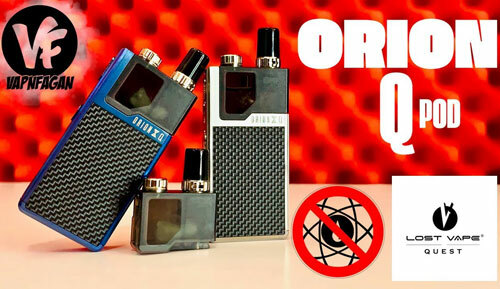 World No Tobacco Day is on the way, and Urvapin is throwing a big vaping deals to celebrate: Upto 70% Off. World No Tobacco Day - May.31th.2018 - This yearly celebration informs the public on the dangers of using tobacco. 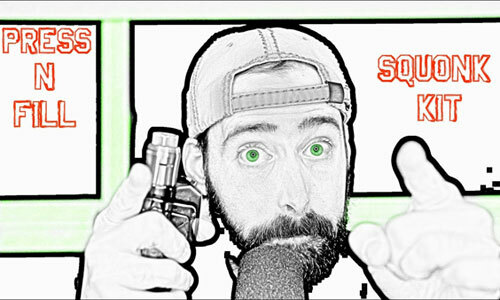 Let's stop smoking and start vaping from today. 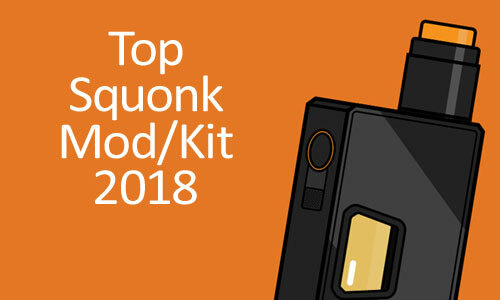 There are many kinds brand vaping devices for sale on Urvapin.com - Up to 70% off, and you can enjoy extra 10% off the final deals(site-wide). 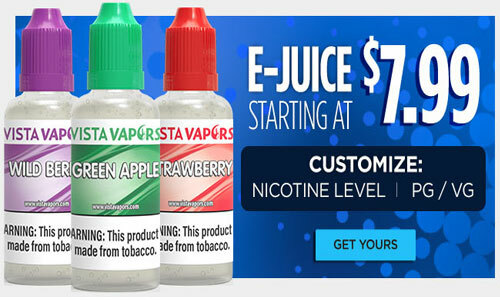 Moreover, some of the latest e cigs released in 2018 you can enjoy extra 12% off. Let me show some of them to you. 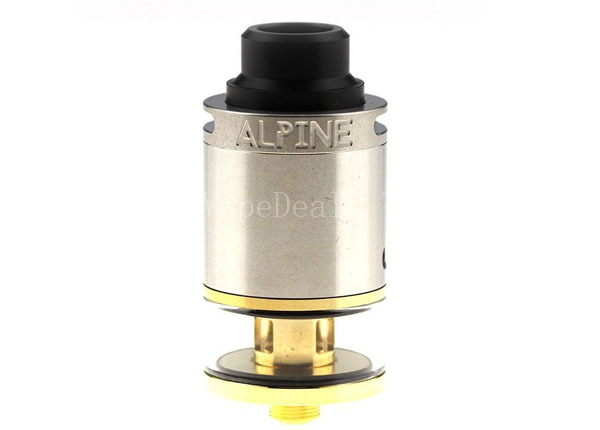 Syntheticloud Alpine RDTA features a two post build deck design entirely encased in 24K gold plate, dual airflow systems, and a convenient and mess free top fill design. 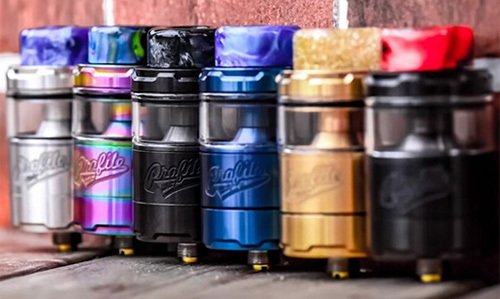 Dual airflow systems, with a total of four airflow ports, insure that you always have the perfect airflow, regardless of build complexity or resistance. 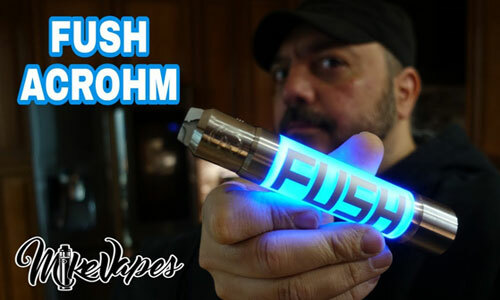 It's only $15.95 and you can enjoy extra 10% off, coupon: Vaping10. Built with a 650mAh internal battery locked inside its chassis, the Vaporesso Nexus is designed to produce an easy to use, satisfying, and portable mouth to lung vape. It’s a great looking device with respectable performance and a battery that can keep up with the best of them. It's only $24.85 and you can enjoy extra 12% off, coupon: Nexus12. 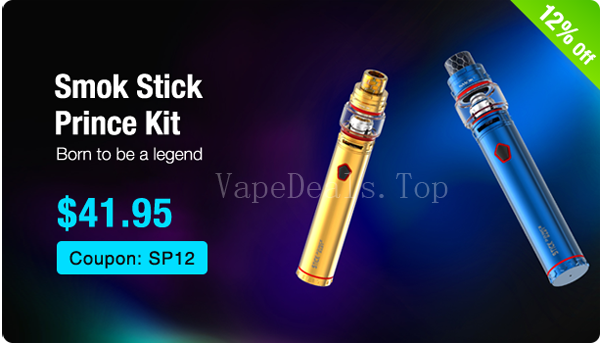 SMOK Stick Prince Kit, a powerful combination of 3000mAh battery and TFV12 Prince tank, is born to be a legend. 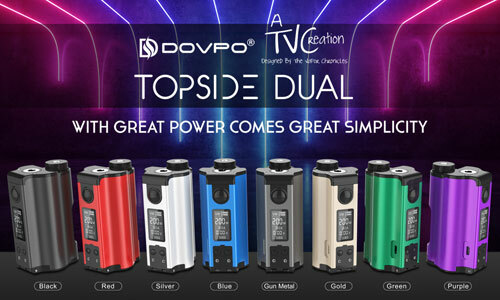 It is newly designed, with a special hexagon power button and a carefully carved battery base you can feel how exquisite it is. 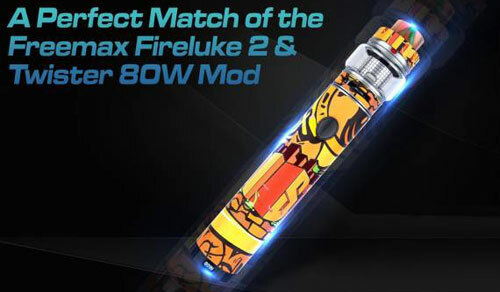 Stick Prince's large battery capacity is the best guarantee for long time vaping and LED indicator on its body can tell you the specific conditions of itself. 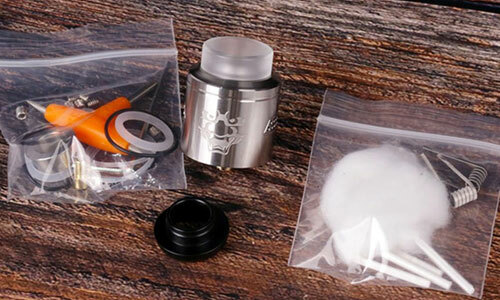 The TFV12 Prince tank has 8ml capacity and hyper engines, which can bring you massive vapor. 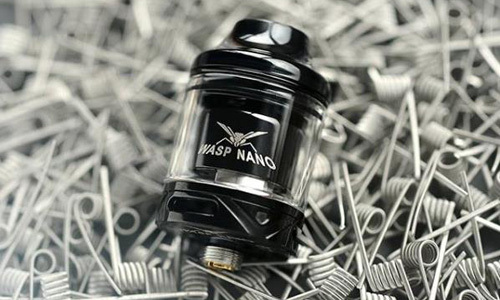 Besides, the tank's patented locking mechanism can effectively solve the leakage problem. It's only $41.95 and you can enjoy extra 12% off, coupon: SP12. 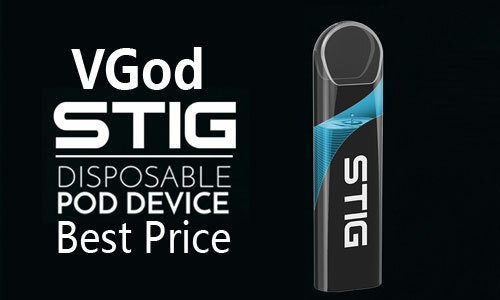 Geekvape Aegis Legend Mod integrating an update chassis to accommodate dual 18650 batteries and increases maximum power output to 200W with the intelligent AS Chip. 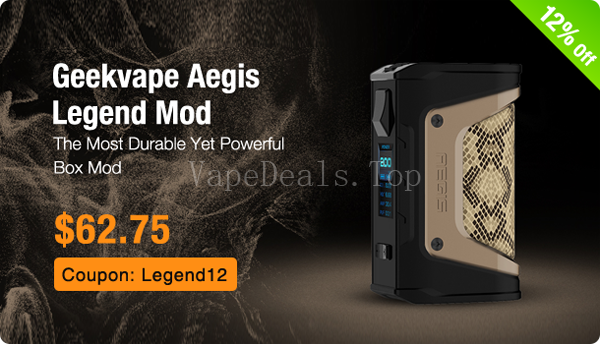 Maintaining the high-level of shock-absorbency and withstanding dirty environment, the Aegis Legend 200W Box Mod is constructed with die-cast aluminum alloy frame, advanced LSR Injection Moulding technology, ergonomic leather grip, and carbon steel battery door cover. A rocker-inspired firing button in a trigger-style structure provides user-friendly operation, with a full-color OLED display screen for organized informational readouts. 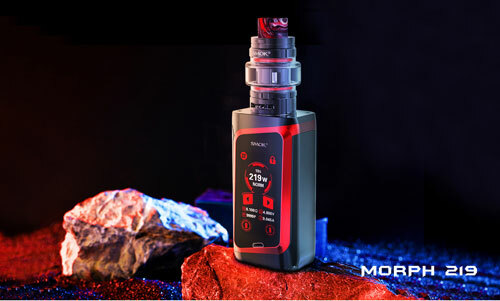 The Aegis Legend has a maximum wattage output of 200W, and several output modes, such as: Power Wattage, VPC, TC-TCR, and BYPASS Mode. Under temperature control setting, it has Temperature Coefficient of Resistance (TCR) setting, a proprietary technology to adjust resistance of a wide range of heating elements to different ranges. 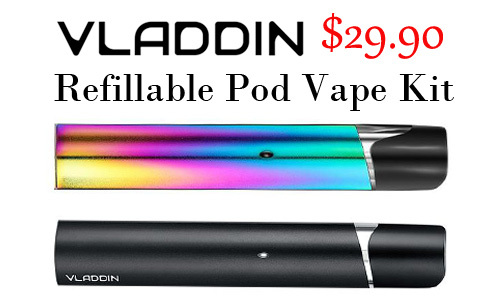 It's only $62.75 and you can enjoy extra 12% off, coupon: Legend12.